I’m very honoured to work along side some talented individuals at weddings. It takes a large number of people and many years of hard work and training to put together everything required for a wedding. From florists, dress designers, cake makers, make up artists, hair dressers, celebrants and even those talented graphic designers who make wedding invitations, each person is highly skilled at what they do. I want to put the spotlight on some of these people to learn a bit about their roles on wedding days and most importantly what expert tips and advice they can give to couples. 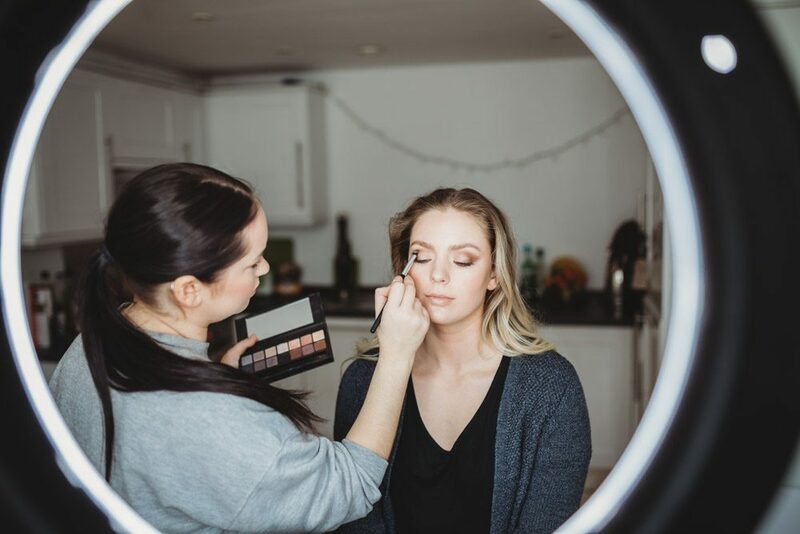 In the first part of this series, I meet up with Charlotte Albert who is a wedding Make up artist based in Truro, Cornwall. 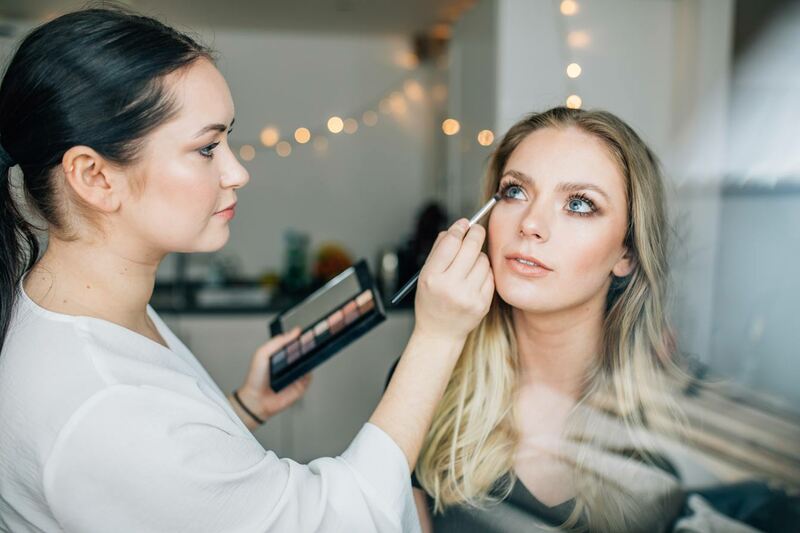 Charlotte has been a freelance make up artist for a year but has worked on make up counters for 3 years where she gained experience and training in make up and skincare as well as qualifications from QC academy. 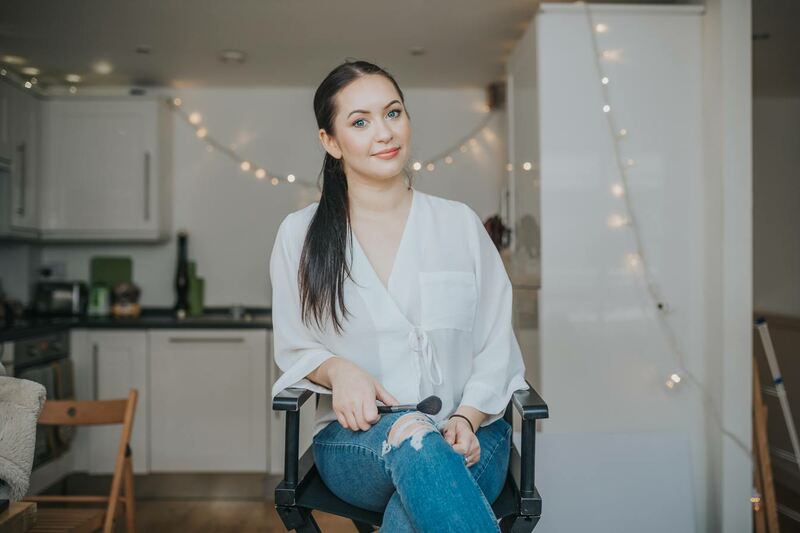 “Working on makeup counters has been really helpful because I have been able to work with clients of all ages, all different faces and skin types which has been an excellent starting point” Charlotte tells me. 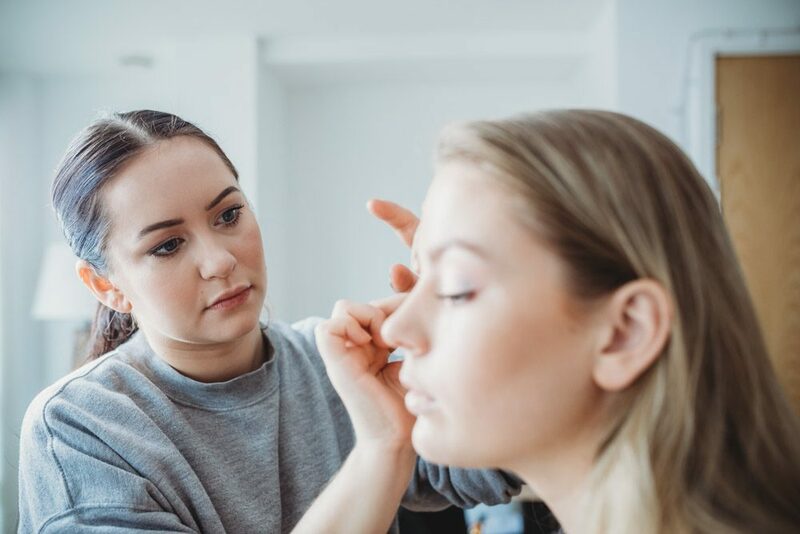 I asked Charlotte what advice she has for brides who wish to save a bit of money by getting a friend to do their make-up. – Find someone who suits your style! Don’t go for a make up artist who does over the top, glam, when you want a very natural look. – Look at photos to see what they have done. Before and after photos are great! – Always try and meet face to face or chat over the phone before you book to make sure they are the right fit for you. – Use Pinterest! Pinterest is a great way to find inspiration and share images with your make up artist to give them an idea of what you’re after. – Having a trial is always really nessessary for the bride! 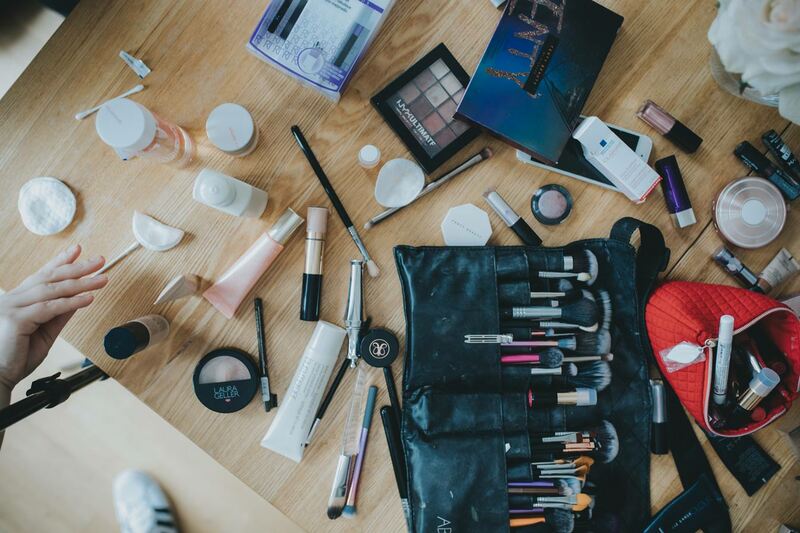 Not just for a practise run but so that they can see how the make up sits, check that theyre not allergic to anything and see how it lasts throughout the day. – Buy your lipstick. Charlotte recommends brides buy a lipstick that was decided on the trial so that they can top this up throughout the day if needed. – Lash Lifts are great treaments before a wedding. These lift the lashes from the root so that they look really long and really full.